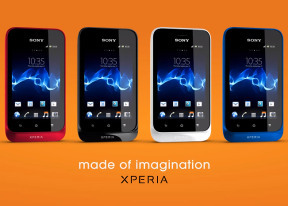 The Sony Xperia tipo comes with a GPS receiver, which took about a minute to get satellite lock upon a cold start. You can use the A-GPS functionality to get near instantaneous locks. Alternatively, network positioning will do if you only need a rough idea of your location. Note that there's a limit to the size of the area you can cache - you can't just make the entire United States available offline, not even a single state. We managed to fit New York and some surrounding area before Maps told us the area is too big. Also, there's no address search in the cached maps and you can only cache map data in supported regions of the world. The Sony Xperia tipo runs ICS, so it has access to the latest apps (like Chrome), but the limited amount of app storage means you'll need to be careful with large apps (again, like Chrome) or move a lot of the apps to a microSD card. The Store is organized in a few scrollable tabs - categories, featured, top paid, top free, top grossing, top new paid, top new free and trending. The in-app section is untouched though and it's very informative - a description, latest changes, number of downloads and comments with rating. There are usually several screenshots of the app in action, and oftentimes a demo video as well. There are all kinds of apps in the Google Play Store and the most important ones are covered (file managers, navigation apps, document readers etc. ), so if you wish you could do something more with your phone, odds are it's in the app store.